For an ultimate brownie experience, these are sure the ones to check out. Easy-peasy to throw together with yummy marshmallow topping. Enjoy every gooey bite! This recipe for brownies is a snap to throw together. 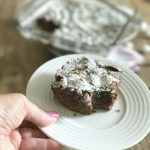 Using a box brownie mix with a few add ins makes for a delectable brownie everyone will adore. 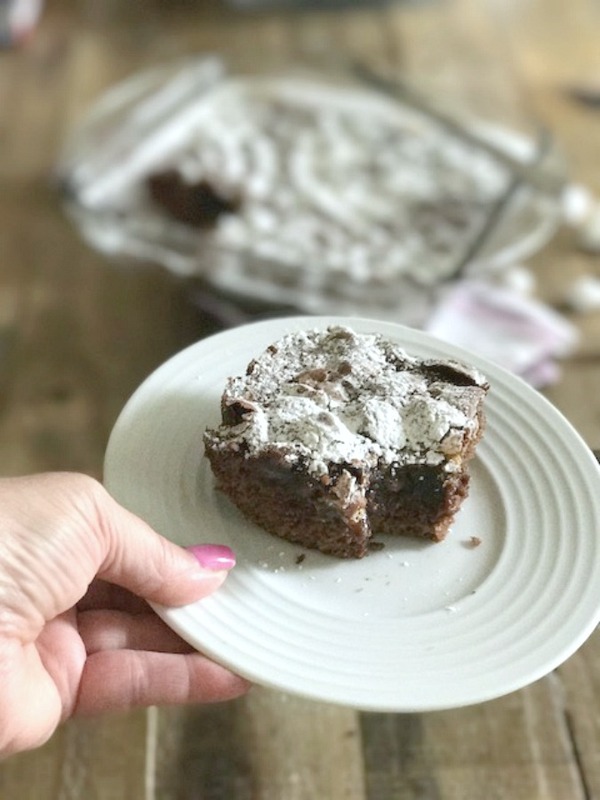 Nice and fudgy on the inside and gooey on top from the mini marshmallows. Somehow the marshmallows almost turn into a pudding like topping. Once in a while we all deserve an occasional indulgence. This is one recipe you want to keep on hand for just that. 1 box favorite brownie mix, I used a milk chocolate flavor for this recipe but, dark chocolate or any other flavor will work too. Spray an 8 x 8 or 9 x 9 baking dish with cooking or baking spray. Set aside. In a large mixing bowl, combine mix with ingredients on package. Add in vanilla extract and chocolate syrup if using. Spread evenly in pan. 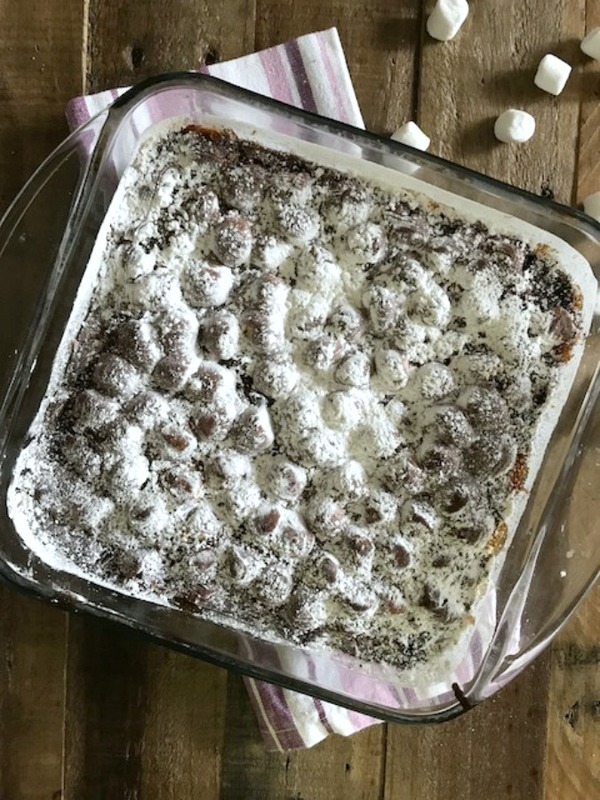 Top with chocolate chips and mini marshmallows. 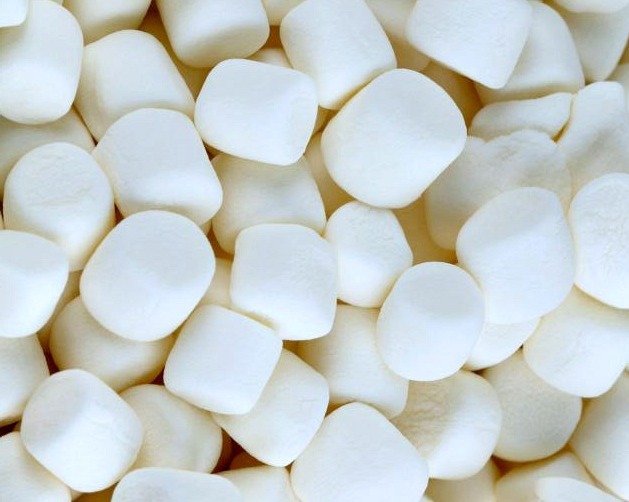 Gently press down with hands so marshmallows sink in just a bit. (They may sink down while baking, that’s okay. Bake according to package directions minus 3 minutes. Take out and check with a wooden skewer or toothpick. There should be gooey crumbs. Try not to over bake. Take out and set pan on stove or counter. Not on a cooling rack. Let cool for at least 30 minutes. Sprinkle powdered sugar over top. Cut into 9 to 12 squares. For an ultimate brownie experience, these are sure the ones to check out. Easy-peasy to throw together with the most decadent marshmallow topping. Enjoy every gooey bite! 1.Spray an 8 x 8 or 9 x 9 baking dish with cooking or baking spray. Set aside. 2.In a large mixing bowl, combine mix with ingredients on package. Add in vanilla extract and chocolate syrup if using. 3.Spread evenly in pan. Top with chocolate chips and mini marshmallows. Gently press down with hands so marshmallows sink in just a bit. (They may sink down while baking, that’s okay. 4.Bake according to package directions minus 3 minutes. Take out and check with a wooden skewer or toothpick. There should be gooey crumbs. Try not to over bake. 5.Take out and set pan on stove or counter. Not on a cooling rack. Let cool for at least 30 minutes. Sprinkle powdered sugar over top.